These chair pads are designed to control and absorb liquids. The quilted design and three-layer construction will not slip, ball or shift. 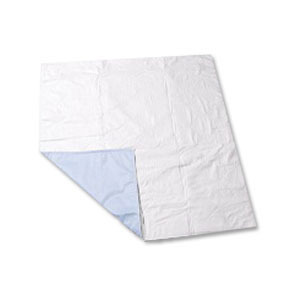 Ibex top cover is highly absorbent and durable through repeated launderings. PVC or polyester back cover is totally waterproof and provides a nonslip surface. Identical material and construction as economy underpads..
Ibex 80% cotton 20% poly top layer.